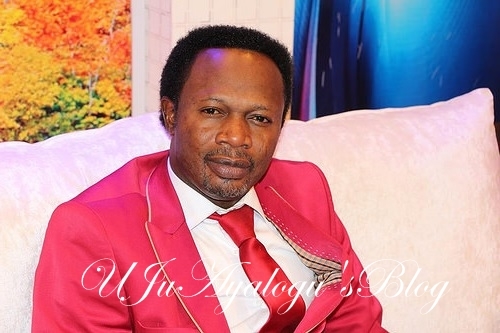 Prophet Joshua Iginla, the founder Champions Royal Assembly, has released his prophecies for 2018. The clergyman said God told him that President Muhammadu Buhari will know his real enemies who are close to him this year. Addressing his members in Abuja, Iginla said he sees Buhari embarking on an impromptu journey, stressing that the president would not be poisoned. Iginla also urged the former Vice President to pray that forces greater than him don’t push him out of the race. He said, “In 2018, the President of Nigeria will finally know his Judas, they will be so exposed that he will be amazed. “I see an Impromptu journey like it happened in 2017 that would to medical vacation again. “For his Excellency, you will not be poisoned, there are many snakes around you but you will not die on the throne. They are closed to you like the cloth you put on. “I see a major shake up in the cabinet and some sensitive people will go. “There will be a lot of defection from APC to other parties and from PDP to other parties and these are powerful leaders that would be aggrieved. “Senate President should pray because hard times are coming in 2018. “I see important politicians, key players in politics and seasoned business men should avoid flocking together in aircraft. I see plane crash, call it mechanical fault or set up before 2019. “Atiku should pray that his presidential ambition is not twatted by forces stronger than him out of the race. “EFCC will make major exploits that will shock people this year, it would be different from what we know last year.